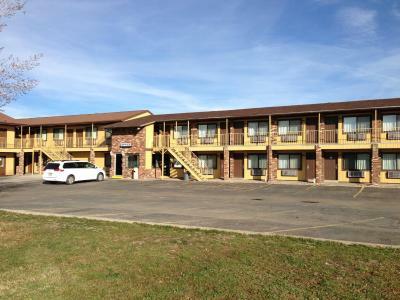 Lock in a great price for Split Mountain Motel – rated 8.2 by recent guests! The staff was very friendly and accommodating. They were always happy to help with whatever we needed. I can't speak more highly of the folks there! The price was so low so my expectations were low but the room was large with a decent TV and bed. The breakfast was good and the location worked for me. Staff promptly upgraded me to a better room after attention was brought to lack of AC. Hotel manager let me park my motorcycle under shelter. It's a good value. Basic overnight stay at a safe location. 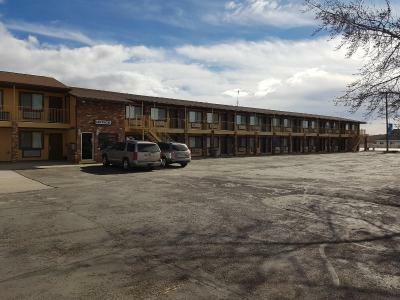 Older roadside motel, comfortable rooms, great location for exploring Vernal and Dinosaur National Monument. Not the place if you're looking for lots of extras, but we stayed an extra night. Good internet; breakfast ok.
Large and ugly garbage can sitting in the middle of the walk area fronting the rooms. Exterior had a "run down" looking appearance but the room was large and well done. Breakfast was juice, coffee, tea, toast, boiled eggs, ceral, waffles, and minimuffins. Accommodating front desk. Mexican place they recommended was excellent for dinner. 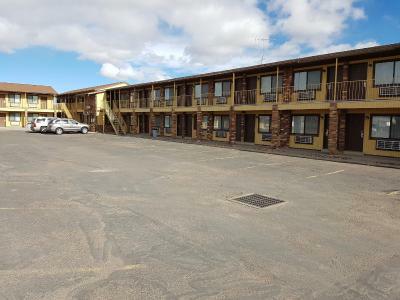 Split Mountain Motel This rating is a reflection of how the property compares to the industry standard when it comes to price, facilities and services available. It's based on a self-evaluation by the property. Use this rating to help choose your stay! 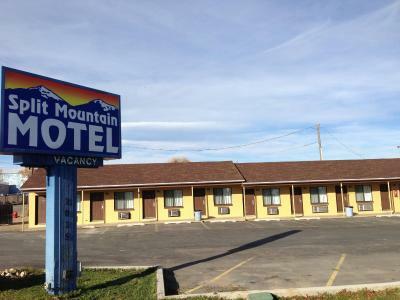 Featuring rooms with free Wi-Fi, this Vernal, Utah motel is a 10-minute drive from Utah State University. 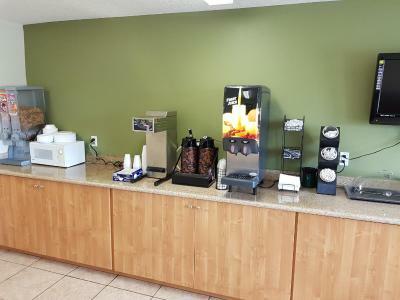 A free continental breakfast is provided. 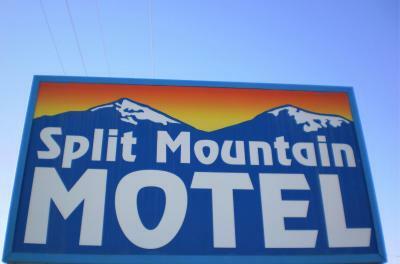 With a flat-screen cable TV, each room provides a private bathroom at Split Mountain Motel. A microwave and refrigerator are also featured. A laundromat is on site. 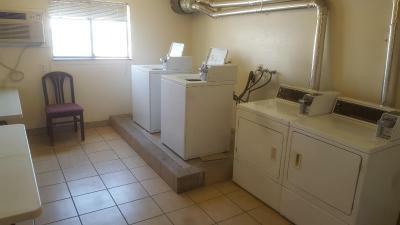 Fax and photocopying services are featured at Motel Split Mountain. Vernal Airport is less than 2 miles away. Dinaland Golf Course is a 5-minute drive from Split Mountain Motel. 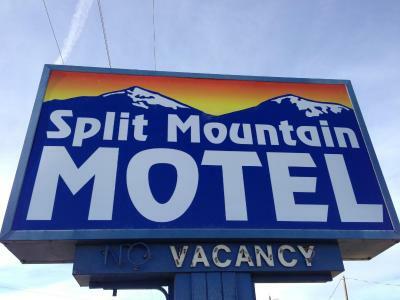 When would you like to stay at Split Mountain Motel? Featuring a flat-screen cable TV, this room provides a private bathroom. 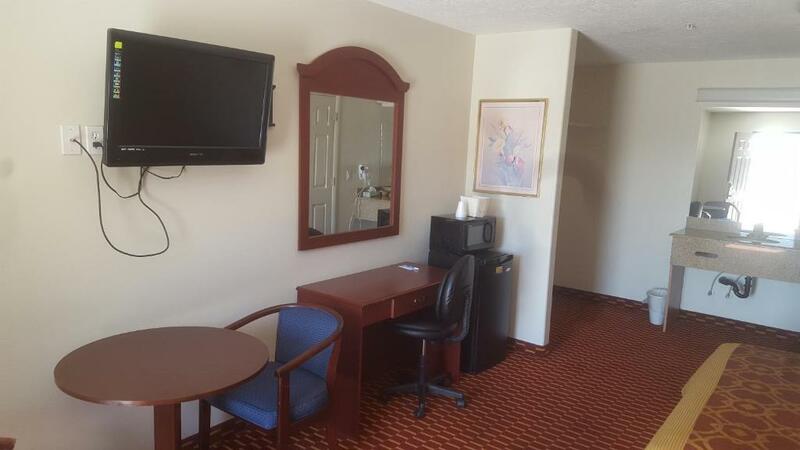 Featuring a kitchenette, this room provides a flat-screen cable TV and a private bathroom. 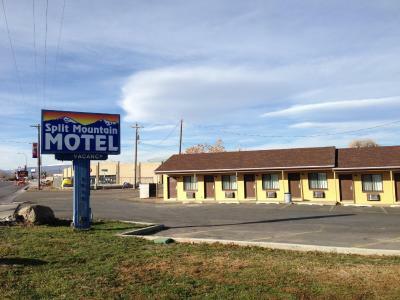 House Rules Split Mountain Motel takes special requests – add in the next step! Split Mountain Motel accepts these cards and reserves the right to temporarily hold an amount prior to arrival. Bed was too hard. Poor TV channel choices. Breakfast was so so. Milk needs to be kept cold, not a gallon sitting on the counter for hours. Clean and friendly. Decent for the price. The shower could've used an update on the grouted work, but it had great water pressure. The pillows were too thick and hard, like logs. Room was clean and in good repair. Couldn't be better for the price. 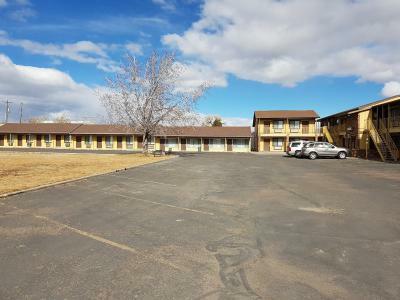 Standard-Motel at the edge of Vernal. Nothing special but well kept, clean and good breakfast. Considering the price a real bargain. The nearby restaurant of Vernal Brewing Company is highly recommended. No fancy decor but room was comfortable and clean. A small selection for breakfast available which was enough to set us up for the day. The waffle batter was too thin which made the waffle not cook right. Pleasant town, short drive to the National Park.